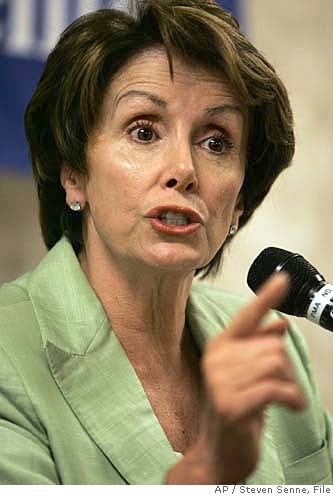 Mrs Pelosi was a very pretty little thing when young, una bella Italiana, I recall. Her mummy always dressed her up as though it were her First Holy Communion. While leftists sniff and giggle at Governor Palin, Michelle Bachmann and what they sarcastically call “somewhat moderate, normal Republican” candidates for the White House in 2013 the real joke is that there are no normal Democrats left at all in modern politics. Any candidate who identifies himself as a normal Democrat is lying. He simply must be a leftist or be pretending to be one such to win his District. In recent, earlier times, there were “normal Democrats,” but they are no longer active elements of a party completely hijacked by the hard left. Having said that, it is difficult to explain how it is possible for any Democrat to win nationwide, statewide or district wide in America today. And yet they do win. How so? In part the electability of hard left Democrats is due to inertia, habit and laziness on the part of the electorate. While some were shocked at the 2010 elections, the real shock was that any Democrats survived the election at all. Even in cases in which the Democrat candidate or incumbent was seemingly mild-mannered and helpful to his constituents, his simply being a Democrat ought to have disqualified him from elective office.Much was said of the “conservative wing” of the Democrat Party in 2010 and while there are some who both by their votes and their native inclinations are normal Americans, their mere presence on the hill wearing the alien “D” means that they, and their supporters back home, simply do not understand that merely by wearing the “D” they are propping up Pelosi, Reid, et al and as such they are part of the leftist cabal that owns that party. I would have simply offered this deal: if you are, as you profess to be, normal, why not, here and now, change parties-I will step aside and you will then be a number in the “R” caucus. That is the question that ought to have been put to all Democrat candidates in 2010 and ought to be put to them in all subsequent elections—“if you claim to be normal, renounce the “D” label.” It’s very simple—you call a news conference and you change parties. This has been done many times in US history. If you are normal—do this—change parties—wear an “R” on your jersey—you get to be elected and you get to be right on issues and you get to be normal. There was a fellow who was holding out against the healthcare monstrosity on moral grounds to do with abortion. His supporters complained that Pelosi would put him in a broom closet and strip him of all his bunting. He cast off morality and voted for this lunatic bill that literally no one-left or right–liked. Why did he do this? All Mr. Stupak had to do was to call a news conference and switch sides—along with his small group of insurrectionists—Pelosi could do nothing to them. They would have been given nice offices with plenty of bunting by the Republicans. Worse yet for Stupak and friends, their Party lost power so they are sitting in a broom closet anyway—or out of office altogether—after having given up the high moral ground and capitulated to Pelosi. This is the message unfolding and kept under hard wraps by the regular media which curries favor with the Democrats: A storm is coming; the people know who you are and you are going to be put out. This being the case, I cannot think why more Democrats who fancy themselves to be “normal” aren’t, right now, jumping ship and swimming to the Republicans for safety. Evidently, 2010 was not harsh enough a lesson for them. The lesson is that there are no normal Democrats left—only hard line leftists.